Continuing our introductory blog series, this blog will demonstrate how to set up a simple Hazelcast deployment group containing two instances. Deployment groups were introduced with Payara 5 to replace clusters. They provide a looser way of managing servers, allowing instances to cluster by sharing the same configuration whilst providing a single deployment target for all of them. See here to read more about Deployment Groups. In contrast to a development environment, where a single server is enough to act as a "proof of concept", in production it is usually necessary to look at reliably hosting your application across multiple redundant hosts to guarantee a reliable service and allow for future scaling. 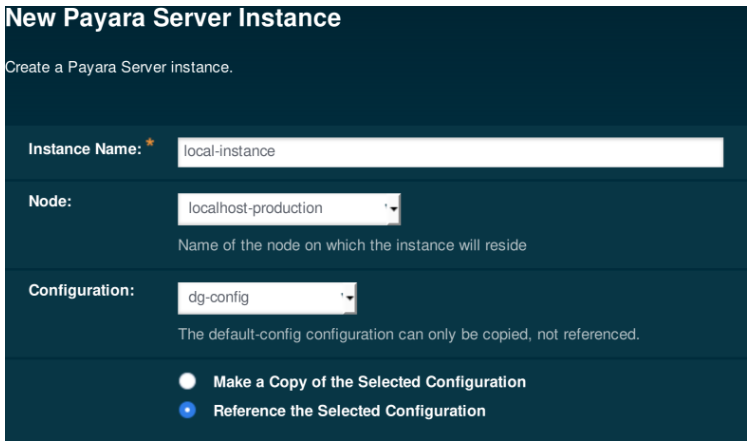 With Payara Server, it is possible to easily create and add instances to deployment groups using Hazelcast, making distributed application configuration a breeze. Our first step is to create an SSH node. For more details on what an SSH node is, and why we will be using one here, read the overview blog. Once the requirements have been satisfied, our first step in creating our cluster will be configuring our second Ubuntu host ("computer2") with its own Payara Server installation and a way to communicate with our original Ubuntu host ("computer"). As both of our hosts are running a GNU/Linux OS, and we require full control of the second host, we will create an SSH node on the computer2. As part of creating the node, we will also take advantage of a very useful Payara Server feature - its ability to create a zip archive of itself and install it on a remote node (thus guaranteeing that both installations are the same and saving time). For versions of Ubuntu prior to 16.04, this would be "apt-get install"
Now we have SSH set up on the second Ubuntu host we can safely create the new node. On the nodes window, click the "New" button. With the form filled in, press the OK button. Don't worry if you see a pop-up saying "A long-running process has been detected" - there is a slight pause while it makes a copy of your Payara Server installation and installs it on the second Ubuntu host. Once the Payara Server installation has been safely transferred, and the node created, you will be returned to the Nodes page. With our remote node set up, we have our foundation. We now need to configure two instances - one on each node - which will host our deployed application. By making those instances share the same configuration and adding them to a deployment group, we can turn them into something that resembles a cluster from Payara 4. We will first need to create a new configuration which they will both reference so that, like a legacy cluster, we can make a single change which takes effect on both instances. 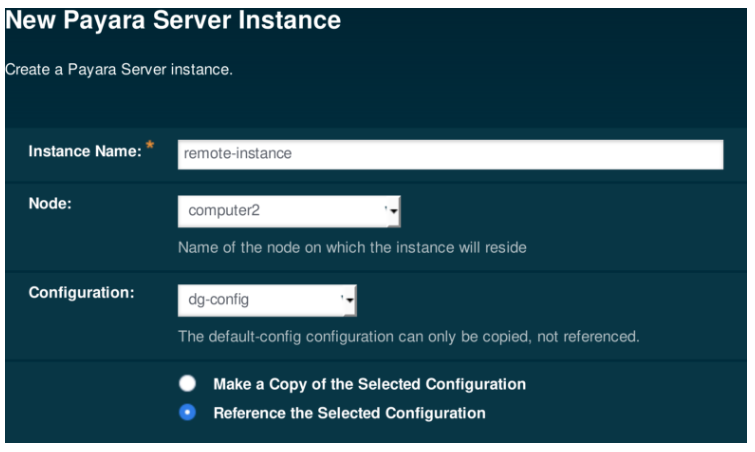 To create a new configuration for our Hazelcast cluster, click on the "Configurations" parent node in the left-hand tree to go to the Configurations page, then click the "New..." button to create a new config for our deployment group. server-config is the configuration used by the Admin Server (named "server"). Changes made here will affect the DAS. default-config is provided for use as a template, from which other configurations can be derived. It cannot be referenced by an instance, but can be copied to a new configuration. Because we don't want to accidentally include any modifications we have made to the DAS configuration, we will copy the default-config and name it dg-config. Accept the default settings and save the new configuration. Next, we need to create instances which use our new configuration. To create an instance on localhost, click "New" on the Instances page. Instance Name: I have named my instance "local-instance" so that it's clearly the one which is local to the DAS. Node: The localhost-production node is a default node which is local to the DAS. Configuration: The previously created dg-config is used here, and we need to make sure to reference it. Press "OK" to finish creating our first instance. Press "OK" to create our second and final instance and to be returned to the Instances page. You should now have two instances marked as "Stopped". Select them both using the checkboxes to their left, and start them. Now, to link together our server instances, we can create a deployment group. This allows an application to be deployed to each at the same time. 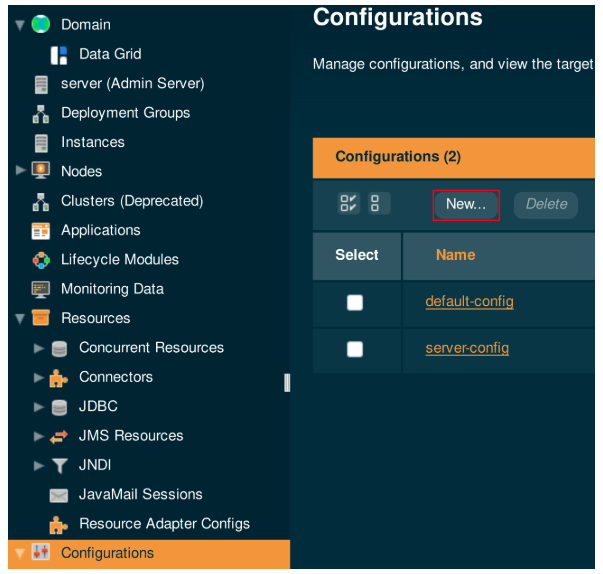 To create a new deployment group, click on the "Deployment Groups" parent node in the left-hand tree to go to the Configurations page, then click the "New..." button to create a new deployment group. On the creation page, make sure to configure the deployment group name, and add the created instances to the deployment group. When you click 'okay' the deployment group will be created. The Payara Examples repository on GitHub is full of projects which demonstrate specific features available to Payara Server. We will be using the rest-jcache application to demonstrate how Hazelcast seamlessly distributes data - but first, we need to download and build it. We are looking to build the rest-jcache example, so once you have downloaded the repository change directory to "payara-examples/rest-examples/rest-jcache". Once there, you can run the command "mvn clean install" to use Maven to build the project. Now that we have our test application built, we can deploy it! To test our cluster's distributed caching ability, we will deploy the application to all instances in the cluster and then add some data to demonstrate how we can modify the data within the entire cluster at the same time by editing the values in a single instance's local cache. First, select the "Applications" page in the page tree and click on "Deploy...". Next, upload your built application using the "Browse..." button, making sure to add neither of our instances to the "Selected Targets", instead adding the newly created deployment group. Payara Server will handle distributing the application to the instances contained in the deployment group. The getJSON() method is annotated with @GET, so that it will be called on a GET request to the "cache" resource. The @CacheResult annotation is a JCache annotation which performs a lookup on the named cache and retrieves the cached value, if one is present, and does not execute the body of the method. On a cache miss, the method body will be entered and the string "helloworld" will be returned. In a real application, this might do a database lookup. The putJSON() method is annotate with @PUT, so can be executed with an HTTP PUT request. The @CachePut annotation is used along with the @CacheKey and @CacheValue annotations in the method signature to put the supplied value into the named cache, as before. We have used the same cache name as in the GET method, so any key which we update with a PUT will be reflected with a GET. In the same way as before, we have used a JAX-RS annotation (@DELETE) along with a JCache annotation (@CacheRemove) so that when an HTTP DELETE request comes in, the value which matches the key supplied will be removed from the cache. We will first demonstrate how the second Ubuntu host has a default value of "helloworld" then, by editing the value stored within the first Ubuntu host, show how Hazelcast will automatically make the cache entry available to all members in the cluster. 1. Retrieving the default value of key "payara"
As you can see, there is currently no value stored for "payara" so we get the default value in return from the local instance. curl -H "Content-Type: application/json" -X PUT -d "badassfish" "http://<Remote_IP>:<Remote_Instance_Port>/rest-jcache-1.0-SNAPSHOT/webresources/cache?key=payara"
Thanks to the Hazelcast cache, this updated key-value pair will immediately be distributed across our deployment group. And there we have it, a working Payara Server cluster, powered by Hazelcast! Now we have our deployment group in place, we can start deploying our applications and making the most of our new scalability, as well as configuring our deployment group for load balancing and proper session handling which will be covered in coming blogs. 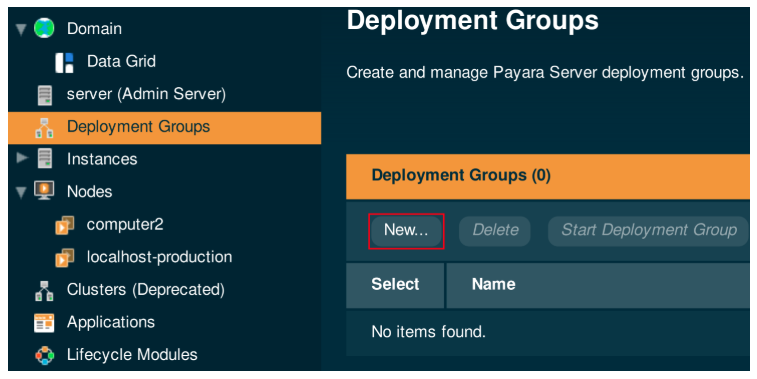 Want to try deployment groups in Payara Server 5?